Facebook, Snapchat, Google Analytics. It never ends. There’s always something new on the horizon promising to the bee’s knees. Too often people get caught up in the latest fads and trends that they forget the simpler things. You remember how your parents and teachers used to say “Do your homework.” It never goes out of fashion. The problem is after we grow up, we think we no longer need it. Homework is actually there to help make us better, despite the fact that many children consider it closer to torture. We have homework in life, too. It’s called self-study. 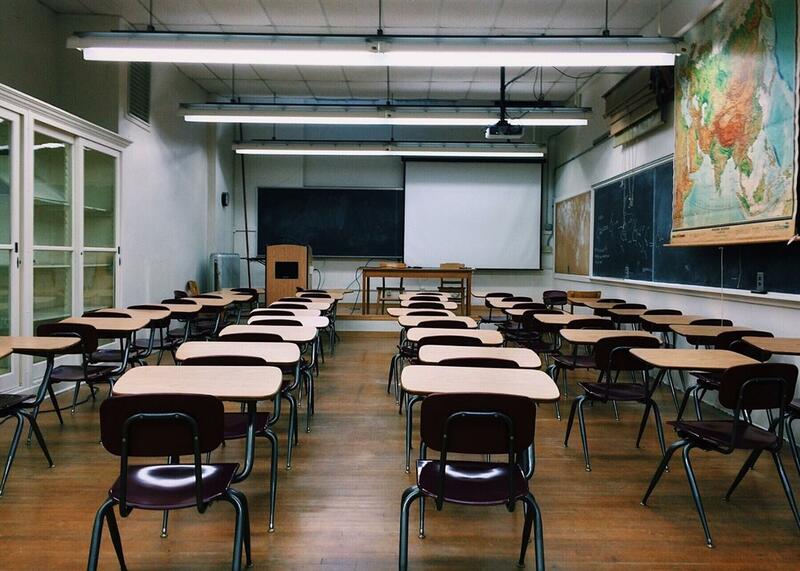 Gone are the days of classrooms, algebra, biology and social studies. For those serious about success, they need to seek out material to help them do their job better. Here are 15 “secrets” of success by legends that isn’t anything groundbreaking. Many ideas you’re probably already aware of, it’s just that we have forgotten just how powerful fundamental concepts can be. Old school never goes out of fashion. 1. Steve Jobs used focus to transformed Apple into the world’s richest company. After rejoining Apple, Jobs went to work on one main product at a time, all others were minor. First, it was the iPod, then the iPhone and finally the iPad, all wildly successful. 3. Looking for a good idea? Something fresh? Try what Jeffrey Gitomer suggests, and “read books more than 50 years old because old ideas are usually new ideas, revised or in disguise.” I laughed when I first read this, but I’ve found it to be surprisingly accurate. Besides, what’s better than a bunch of cool books on the wall of your office? 4. Marketing legend, Gary Halbert, taught me about the importance of a starving crowd. Too many entrepreneurs love their idea or product and build it because they believe it’s the best thing ever. Just one problem, no one wants it. Gary says to find out what people want first, then go and give it to them. Much higher chance of success. 5. In the marketing field, Dan Kennedy is a living legend. One of the best pieces of advice I heard from him was sending handwritten letters via FedEx is almost a surefire way to ensure it reaches the person you want it to. 6. In Think and Grow Rich, Napoleon Hill compresses the secrets of the top business people of his time into 17 different ideas. The one I’ve heard most commented on by other speakers is the power of the mastermind. We could all learn a little more which is why gathering a group of people together once a month to discuss ideas will never go out of fashion. 7. Whether you’ve got problems in your business or with your relationships, How To Win Friends and Influence People by Dale Carnegie is a must-read. One of the best pieces of advice in there is to remember people’s names and get people to talk about themselves. Why? Because we all love ourselves and it makes us happy when someone wants to listen to us, it makes us feel important. A simple concept, that is often neglected by many. 8. In Earl Nightingale‘s The Strangest Secret, he says, “You become what you think about.” These six words sum up the classic Think and Grow Rich by Napoleon Hill. People sometimes wonder why they aren’t getting ahead in life. Quite simply, because they are spending the time to learn good stuff. They are happy to spend two hours watching TV, another two hours on Facebook, another hour reading newspapers and gossip magazines. Always remember garbage in, garbage out. 9. Success is rarely one single event, but rather small things well, consistently over time. Benjamin Franklin believed in having “daily rituals” that set you up for success. 10. Thomas Edison once said, “Our greatest weakness lies in giving up. The most certain way to succeed is always to try just one more time.” Talk about great advice. If it’s what you really want, do everything you can to make it a reality. 11. Jim Rohn taught me something that I think about every single day. “Don’t wish it were easier, wish you were better.” Mind blown. 12. We can all learn from Zig Ziglar’s wisdom. One of my favorite little comments he made was “I never accidentally ate anything.” We always have a choice, whether it’s our diet, our spending, our work, our intelligence. The question is will we accept responsibility for them. 13. Oprah Winfrey believes in having a “strategy to beat procrastination.” She knows that even the best of us can be led astray by temptations such as FB, text messages, emails, telephone calls. We must set up routines that prevent us from not focusing on what we need to do. 14. One of Alexander the Great‘s leadership secrets was “Share your spoils.” Success is a team sport, so what you succeed, be sure to share that success with your team. It’s amazing how many CEOs and managers forget this.